This blogpost has been a LONG time in the making!! 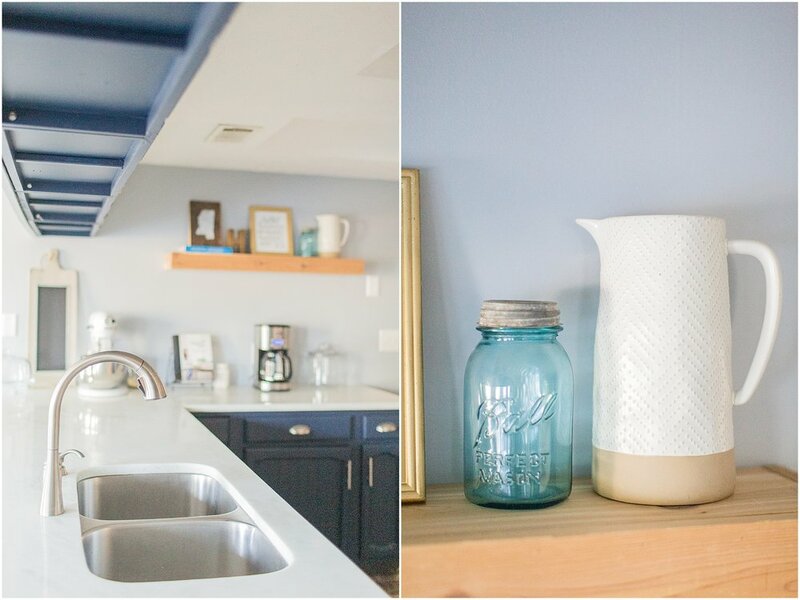 When we moved into #theHambickhouse in the summer of 2016, we knew that the kitchen would be our biggest project! It took over 2 years, but we are ALMOST completely done!! 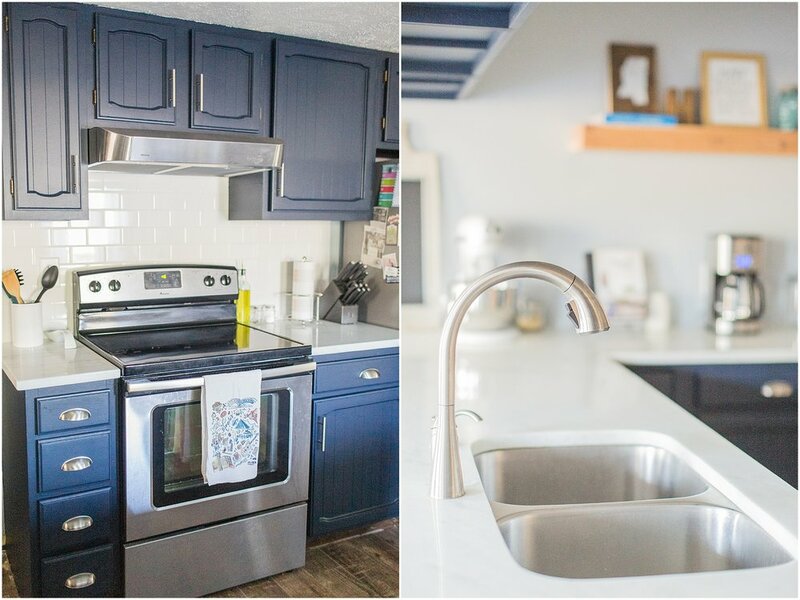 All that’s left is adding new baseboards & a new laundry room door/trim, but I figured I’d go ahead & share the before & after photos because who knows when we will have time to do those last couple projects haha! There’s something beautiful about sharing a project that’s in a “it’s almost but not quite finished” place!! 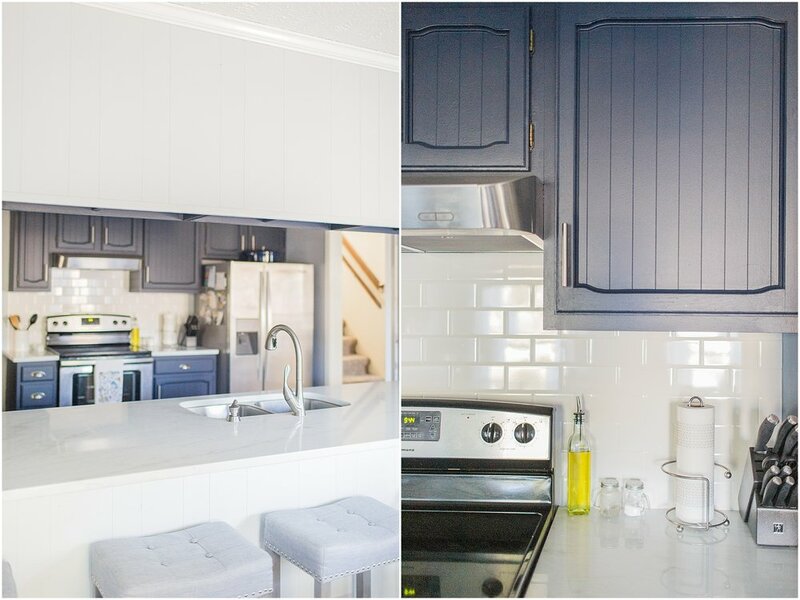 Here’s what our kitchen looked like right before painters were coming to paint the cabinets this summer (we may have tried a million sample paint colors since I’m super indecisive). 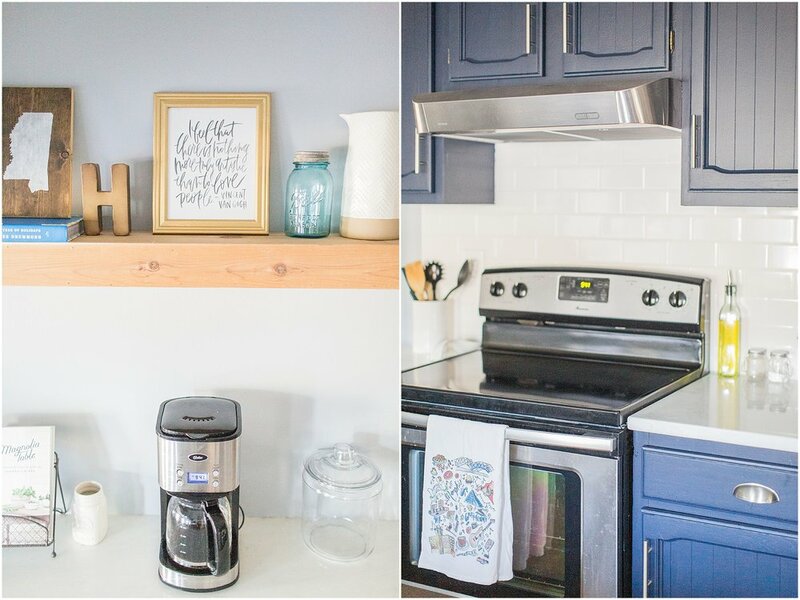 We had painted the kitchen walls when we painted the dining room & living room before we moved in! The flooring in these photos is new flooring that my sweet husband & his dad put in pretty soon after we moved in. Dylan literally had to tear up 5 LAYERS of flooring! Crazy!! We went with tile floors & we’re super happy with them! 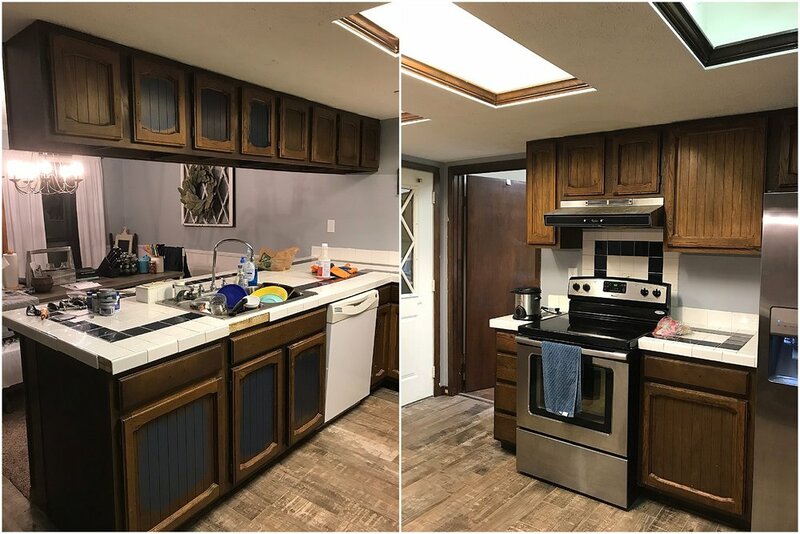 2 years later after doing a lot of other projects around the house, we were FINALLY ready to hire painters to come do the cabinets! Then it was time to demo the countertops (shoutout to the best husband ever, I promise I helped a little bit haha!) 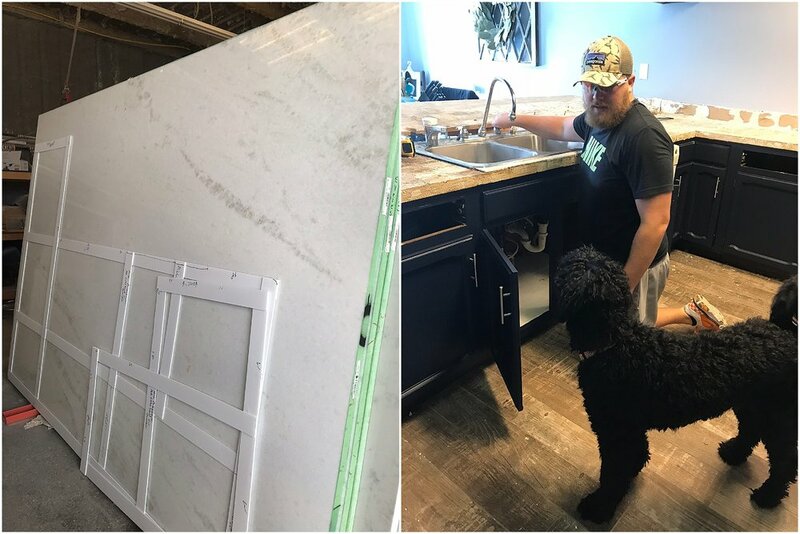 We went & met with the amazing people at Kelty Tile & Marble in Ridgeland, MS, & we immediately knew we wanted to hire them to install our new countertops & sink! They were incredible to work with & were so helpful!! 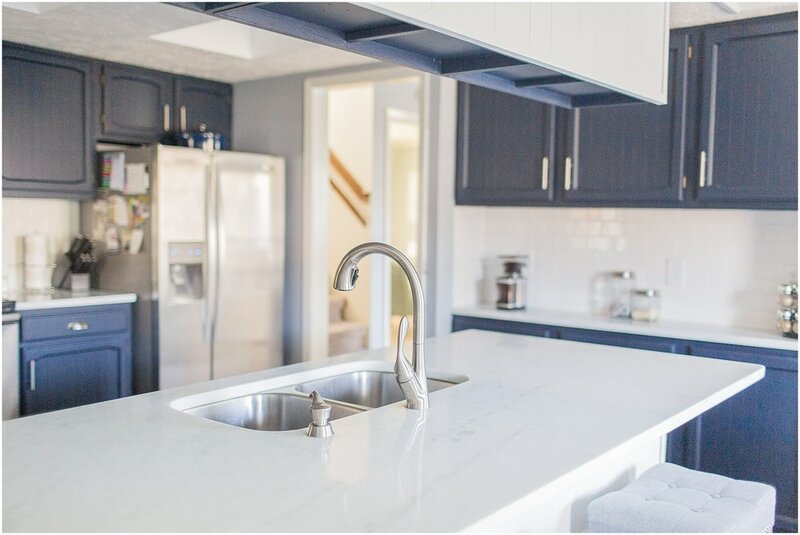 If you’ve ever had new countertops put in, you know that there’s about a two week window from taking out your old countertops & having the new ones installed. Thankfully, we had a trip planned right in the middle of that window, so the timing couldn’t have worked out more perfectly for us to be without a kitchen!! Just a couple of days after we got home from our trip (and on my birthday—yay!) our new countertops were installed! We chose quartzite & have been SO happy with our choice! 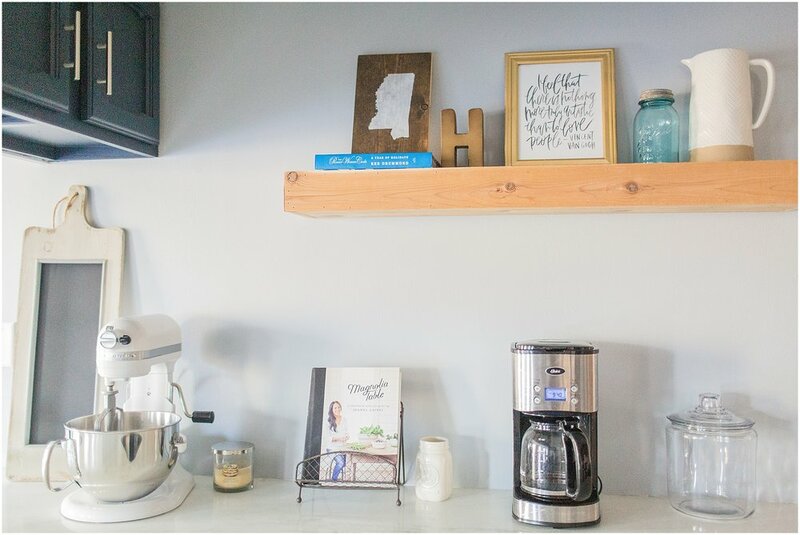 Then it was time to add the new cabinet hardware & a cedar floating shelf Dylan built! 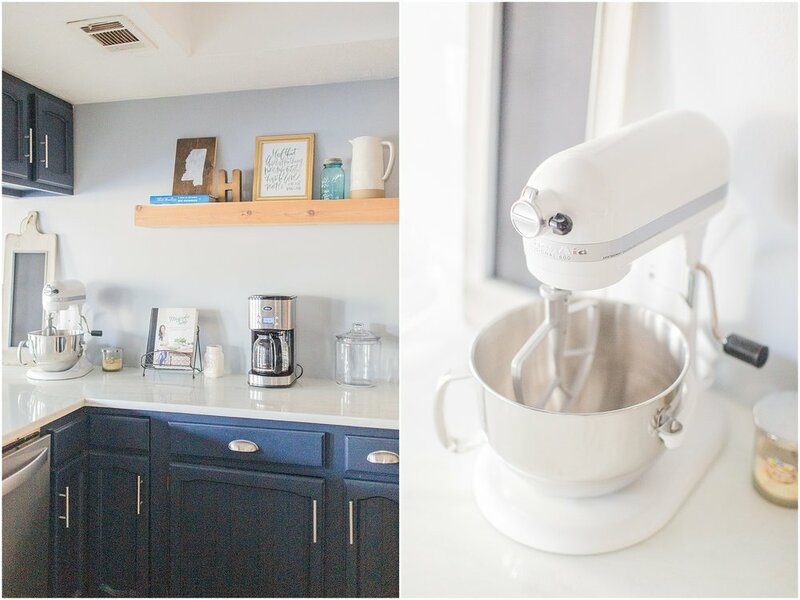 Here are some photos of our newly renovated kitchen! !